↑ "Eric Andre Biography". TV Guide. Archived from the original on 2012-07-06. Retrieved 2012-07-12. ↑ Valys, Phillip. 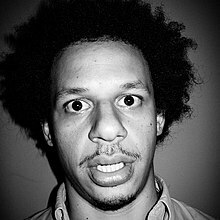 "Eric Andre's comedic anarchy". This page was last changed on 5 September 2018, at 23:58.